The RXT Universal Ratchet FlipUp Visor is a universal style 3 stud ratchet visor. It will fit most 3 stud open face helmets. Available in Clear or Dark Tint. It will fit all RXT Open Face Helmets, including the Challenger and A611C Low Ride (with studs) and most 3 stud traditional Jet style helmets, such as the Bell Custom 500. 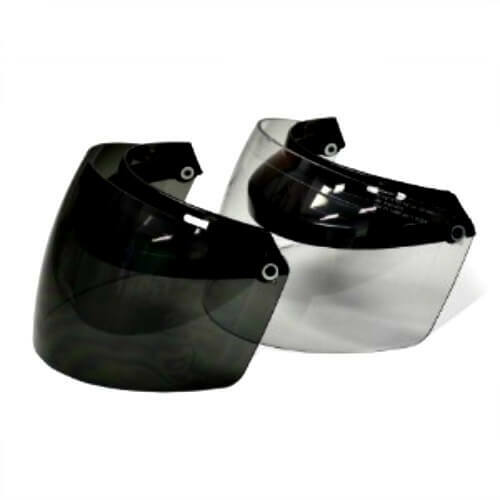 Please Note: Tint visors or goggles shown on helmets are sold separately.